One of South Carolina’s more popular vacation destinations, Garden City Beach is also one of the Grand Strand’s great communities, pulling together to rebuild following two devastating hurricanes. 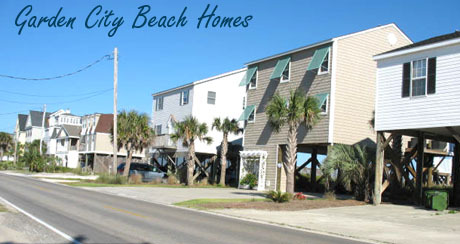 Oceanfront homes with great rental potential are as close as a quick drive along Garden City’s Waccamaw Drive. These raised beach style homes with the Atlantic Ocean as their front yard feature ample parking beneath the home, 4-7 bedrooms, and rental opportunities that have these homes booked months, if not years, in advance. So why do Garden City homes have so much appeal to renting vacationers? 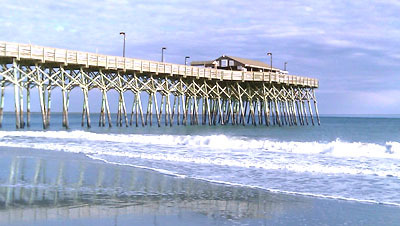 At the community’s heart is the Garden City Pier, consistently acclaimed as one of the best piers along the Grand Strand and a popular local attraction. More than 650 feet long, the "End of the Pier" (at the end of the pier) is a popular bar with music and dancing throughout the summer. Also, the Garden City Beach Pier offers a tackle shop, an arcade, the Pier Café, and, of course, lots of great fishing spots. Choice is king when it comes to Garden City real estate, too. 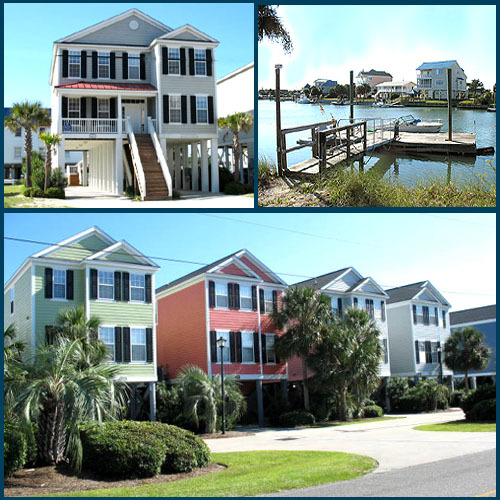 Waterfront, ocean view and oceanfront condos are available as are traditional stilt beach homes and other single-family styles. Private boat docks are a feature of many of the tidal creek homes and inlet cottages. This is the only part of the strand other than Cherry Grove that has homes on the water as well as being across the street from the beach. And with changing market conditions, there couldn't be a better time than now to snag a great oceanfront bargain, with several oceanfront homes recently listed in the $600s and $700s. On top of that, there are no homeowners’ fees. To learn more about the great value of Garden City homes for sale and how easy it is to have your cake and eat it too by investing in a rental property, give the specialists at Century 21 The Harrelson Group a call today. 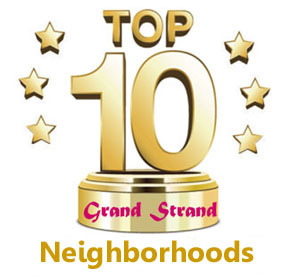 We can help you with great Surfside Beach homes, Pawleys Island homes, and property anywhere in the Grand Strand.